The SCORPION PEST CONTROL SERVICES has been family-owned and operated since its beginning in DHAKA CITY in 1985. We have always built our reputation on customer service and the efficient use of up-to-date technology. 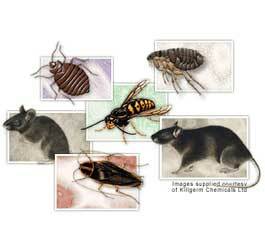 We are one of the fastest growing family-run pest control and fumigation company in the DHAKA CITY. SCORPION PEST CONTROL SERVICES has been performing pest control service and fumigations service in food plants, food grain storages and warehouses, grain elevators, storage bins, tractor-trailers and other types of structures since the 1985's. 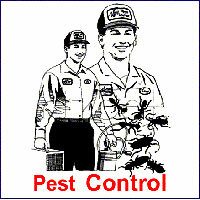 and is recognized as one of the best pest control service provider and fumigators in the industry. If you are looking for a safety first commitment and an affordable, successful pest control and fumigation services, then we are the pest control service and fumigator of choice. Successful pest control and fumigations result from proper prior planning. SCORPION SERVICES will complete a pre-pest control and pre-fumigation checklist and we will learn your structure's pest control and fumigation history, determine the target insects and the kind of products to be pest controlled and fumigated. Our company specializes in pest control service and fumigations and ULV fogging services for storage facilities, mills, food processors, import/export ships / barges / containers / stored grain / railcars / trucks, and spot pest control and fumigation/conveying equipment and machinery. SCORPION SERVICES offers a comprehensive pest control and fumigant retention assessment service that uses customized monitoring equipment and data generation to evaluate and suggest improvements to various facilities and commodity storage structures. All pest control and fumigations are guarded by SCORPION SERVICES employees trained to handle monitoring devices and fumigants. Guarding is one of the most important safety features on our fumigations. 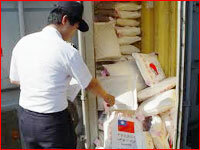 We regularly monitor the fumigation and will observe any rapid gass loss, and adjust the situation accordingly. We will measure each area and will analyze sealing and aeration procedures two fundamentals in a successful fumigation. The power is in the planning. Part of the planning is completion of the SCORPION SERVICES Fumigation Checklist. 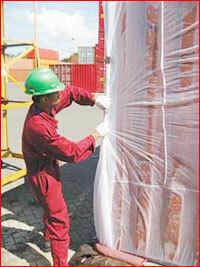 With safety as our number one priority, we will educate your key employees on fumigation, and address their concerns. Our Safety Schools are an integral part of our training programs for employees and customers. Compliance with safety regulations and achieving top results for you are more important to us than being the lowest bidder. All fumigations are guarded by SCORPION SERVICES employees trained to handle monitoring devices and fumigants. SCORPION SERVICES Regulatory Compliance-Safety- Responsiveness-Effectiveness-Technical Support-Lowest Cost solutions for all segment of customers around the country. 1. What is a fumigation ? In modern terminology a fumigant is a chemical which, at a required temperature and pressure, can exist in the gaseous state in sufficient concentration to be lethal to a given pest organism. This definition implies that a fumigant acts as a gas in the strictest sense of the word. It is important to make this distinction at the outset because it emphasizes one of the most important and useful properties of fumigants: as gases they diffuse as separate molecules. 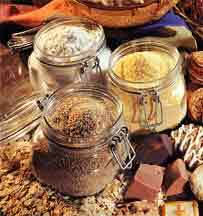 This enables them to penetrate into the material being fumigated and to diffuse away afterwards. Insecticides, which are sprayed on leaves or other surfaces so that insects coming in contact with them or eating them are poisoned, sometimes exert sufficient vapour pressure to give off gas. Under certain circumstances, this gas may account for some of the toxic action - the so-called "fumigation effect". Fumigants are still widely used for the control of insects and other pest organisms. 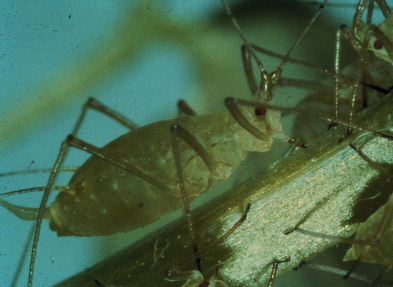 Because of their unique characteristics and the great adaptability of the fumigation technique, fumigants can often provide effective, economical control where other forms of pest control are not feasible. In many cases treatments can be carried out on infested material without disturbing it in any way. The development of lightweight plastic sheets to enclose spaces or materials requiring fumigation has extended the use of fumigants and made control procedures easier and much more adaptable. Items to be addressed in preparation for the fumigation of the average home are: All people, pets, (including fish and/or fish tanks), and plants must be removed from the home. If it's 'living', take it out! All food and medicinals should be removed or sealed in special bags (your contractor will inform you about these fume-bags) according to the instructions from the fumigator. 3. How do I know how much will be used ? Fumigant Dosage Determination : Because of a multitude of structural, environmental, and fumigation variations, there are now two fumigation jobs that are identical. The required dosage of Vikane is influenced by the temperature at the site, the length of exposure period, and the susceptibility of the pest to be controlled. The typical single family home fumigation involves the use of a 16-18 ounces/1000 cubic foot. 4. How long will the fumigation last ? Fumigation period : Vikane is usually held in the structure for approximately 16-30 hours. 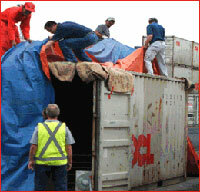 Fumigation time is depending upon the factors mentioned previously. 5. How does the fumigant leave the house ? Aeration : During the aeration, the fumigator aerates the structure with operable doors and windows open and with the aid of a fan for a full hour before securing the structure and allowing a total of six to eight hours of additional aeration. 6. When will it be safe to return ? Entering the structure : Absolutely no one can enter a structure until it has been certified safe for reentry by the licencee in-charge of the fumigation. To ensure that even the owner or tenant cannot reenter a structure, the company is required to put a secondary lock on all outside doors that only the company can open. The fumigator is required to post a reentry notice on the property at the time the structure is actually deemed safe for occupancy. If within 24 hours following aeration, you experience headaches, dizziness, nausea, tearing, coughing, nose/throat irritation, shortness of breath, double vision, unusual drowsiness, or tremors, leave the fumigated structure and immediately contact your physician, poison control center, the fumigation company, and your local agricultural commissioner to report the incident.